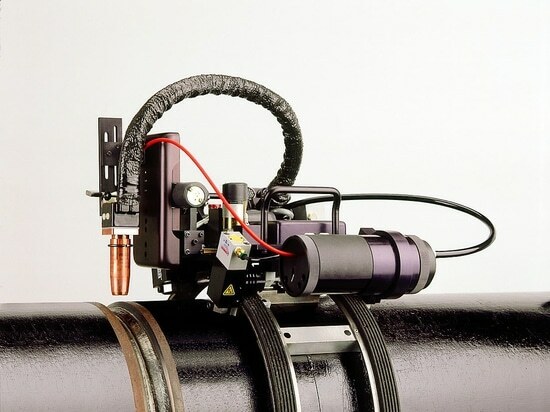 The Magnatech Pipeliner is designed to make pipe-to-pipe and pipe-to-fitting welds using the GMAW/FCAW processes. Interchangeable guide rings mount the Head on the pipe, allowing a broad workpiece size range from 16.8 – 152cm (6 - 60”) and larger. The Pipeliner improves productivity by increasing duty cycle, reducing repair rates, and producing welds of consistent quality. 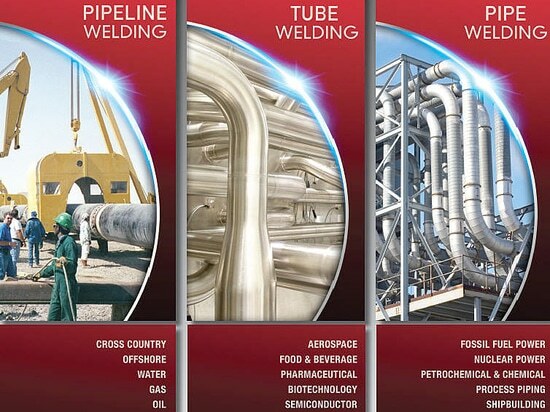 The systems are in use worldwide welding process piping for a wider range of industries. In addition to welding pipework, the pipeline is also used for ID and OD welding on larger tanks, vessels, and ductwork. Flexible track allows mounting on complex curved surface. Standard 2.3m Track section bolt together for longer lengths with magnetic or vacuum attachment. In a typical application, a contractor needed to weld large diameter piping transporting carbon monoxide from a new coker tower to a CO boiler to make steam for power generation. This work was part of an expansion at Syncrude, which processes the tar sands oil found in Alberta, Canada. There was a very limited access space around the weld circumference, making manual welding difficult. 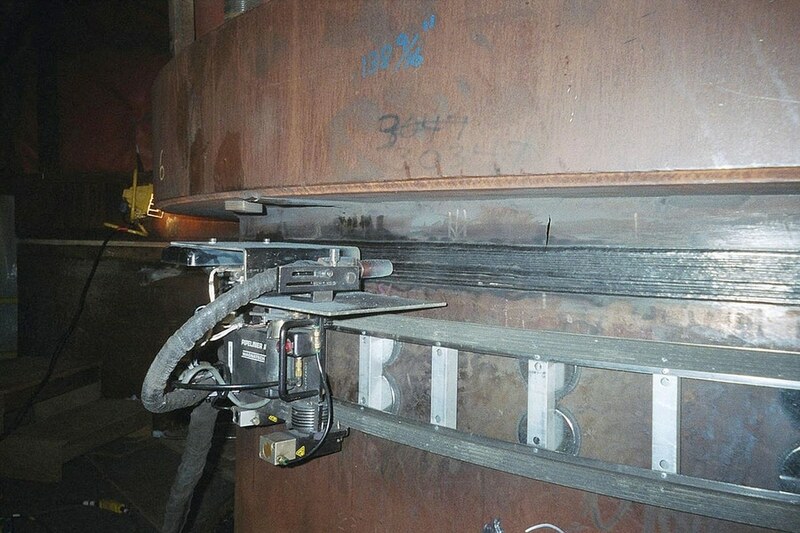 "We have now completed the welding of the circumferential welds on the Burner Overhead Line. 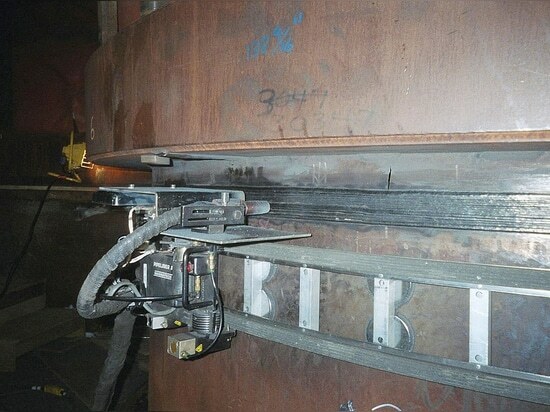 To date we have completed ten 3.25m diameter and two 2.4m diameter welds with a 25mm wall thickness. This totals 110 linear meters of weld deposit requiring 100% radiographic inspection to meet ASME Boiler and Pressure Vessel code, Section 8 with excellent productivity. This was completed with only one repair of about 100mm in length, or a repair rate of 0.086%. 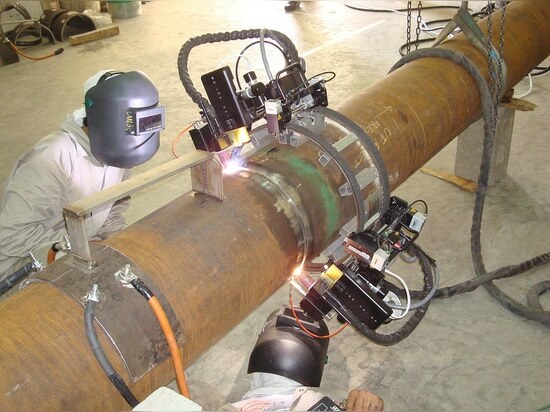 Magnatech’s Pipemaster power source models are used for multipass orbital pipe welding. 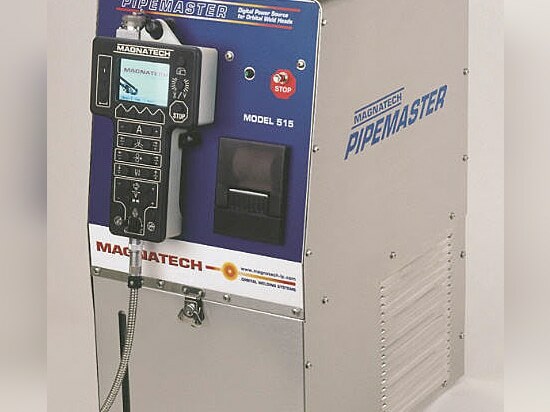 The Pipemaster 515 model has a 150 amp output, and the 516 model either 200 or 400 amp output. They control weld Head mechanical functions for torch rotation, wire feed, torch oscillation, arc voltage control, and control of arc length. The power sources can operate 22 different models of Magnatech weld heads as well as certain competitor models.